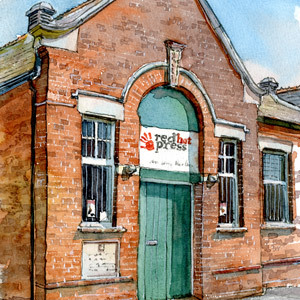 Red Hot Press is a fine art print workshop in Hampshire, England. We are open to the public, and dedicated to the production and promotion of original prints as a fine art medium. 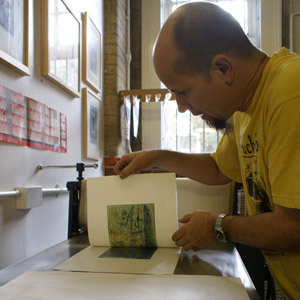 We exist to promote and develop an appreciation and understanding of Fine Art Printmaking. Our aim is to encourage the use of printmaking as a vehicle for exploration, artistic expression, communication and creativity, while promoting an appreciation and understanding of printmaking to the wider public. Find out more about our upcoming courses. All courses until the end of September are available to book through the courses page. Courses this spring are booking up fast, but one space has just become available on the Screen printing weekend 27th – 28th April. We have a couple of spaces still available on the Etching and Chine Colle weekend 11th - 12th May. 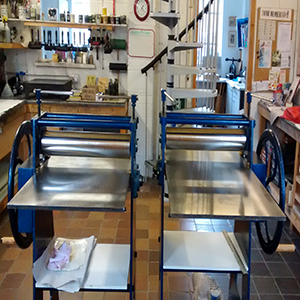 For the lino cutters out there we have a Reduction Linocut Weekend course 15th – 16th June. Founded in 2004, Red Hot Press is a print facility that caters for relief and intaglio printmaking techniques. All are welcome from interested beginners to accomplished printmakers to learn and use printmaking as a creative process. We are situated close to the centre of Southampton and provide free parking around the workshop for course participants. After 30 years working in the NHS I have been able to begin using my creativity. 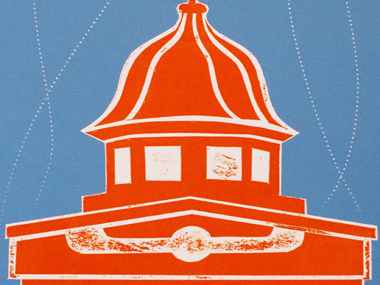 Having discovered Red Hot Press, I have loved everything about the printmaking process, meeting other creative people, and being part of the workshop. Artist/ printmaker who exhibits regularly at the Bankside Gallery, London where she is a fellow of the Royal Society of Painter Printmakers. This last academic year she has been artist in residence at Southampton Solent University, developing her work through screenprinting. An early flirtation with jewellery design/making gave way to an academic career. Emerging from this, I started botanical illustration, tried some printmaking, took an HNC in Fine Art and got hooked on wood engraving... High points to date: acquiring my 1887 Albion Press and seeing my prints on show with the Society of Wood Engravers at the Bankside Gallery in London. I had my first taste of printmaking on an etching workshop whilst studying Fine Art at university and was immediately smitten. A member of Red Hot Press since 2004, I specialise in intaglio techniques and run Cowprint, the in-house artists’ group which brings together workshop members for the exchange of ideas, support and collaboration. My work has been exhibited internationally and is held in collections both in the UK and abroad. I have been producing prints for many years and am particularly drawn to the versatility of etching, often combining it with other printing methods. I am inspired by coastal landscapes from the south coast which has been an ongoing theme since studying for an MA in Fine Art Printmaking at Winchester School of Art. I exhibit regularly alongside teaching art and photography.